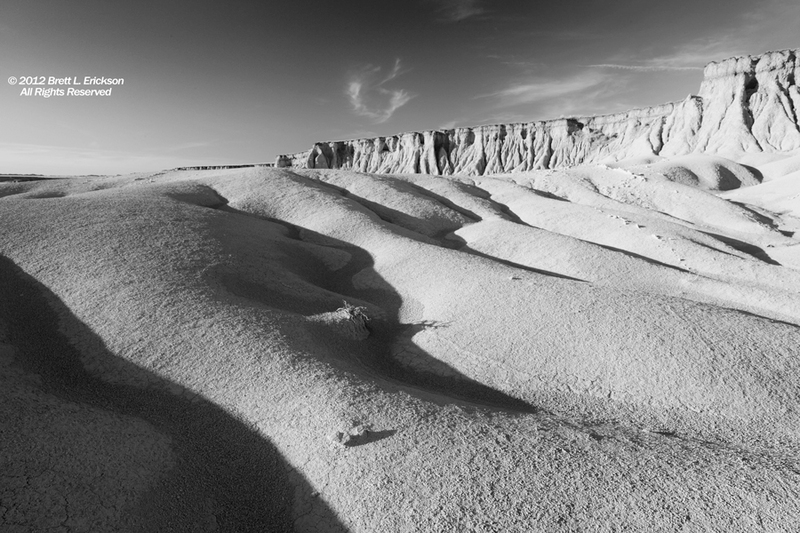 A nice surprise today when the Photolord contest featured “Tree, Sand Creek Badlands” as the daily photo winner. I can really tell, though, that I’m working with a new calibrated monitor between the two conversions of the RAW image. The pre-calibration image is too dark, so I’ve re-posted the calibrated one here. 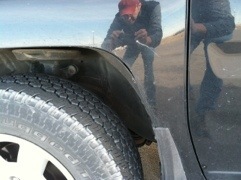 Thanks again to Matt George and his work at the contest. 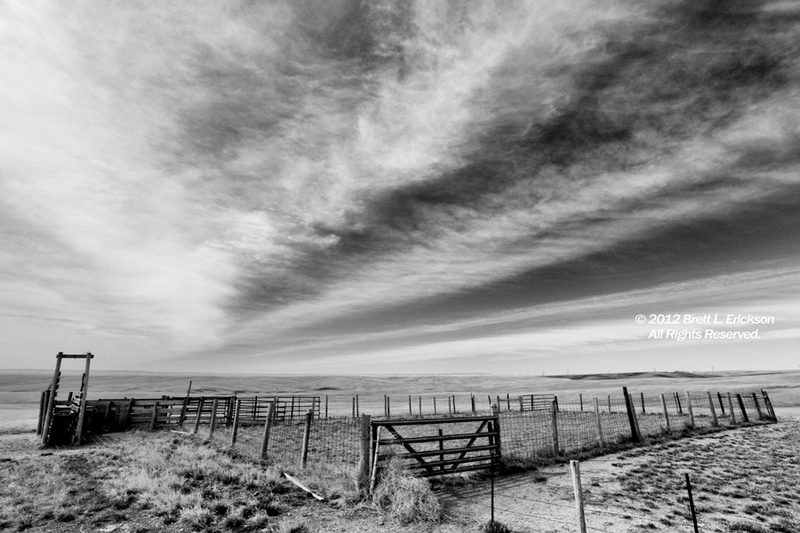 “PlainSky, Nebraskans” as a project focuses on the interrelationships between people, industry, the landscape and the sky of western Nebraska, and when I found this corral, with its inverted Da Vinci triangle leading us to the horizon, power lines and ranch in the far distant hills, jet contrails dissipating overhead, I wheeled my truck around, parked in the ditch, and set up the shot. There is a significant degree of meaning in this image, but much of it is subtle–another hallmark of the project. Why? I’m reminded of a biker I knew from another state, who said Nebraska was just somewhere to “get through.” “PlainSky, Nebraskans” is an artistic and documentary endeavor to force both residents and visitors to stop, look and contemplate. 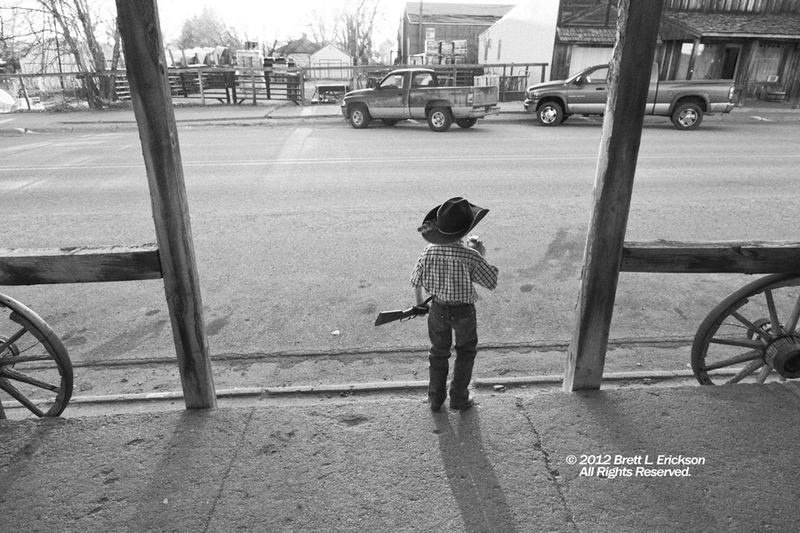 As he left the steps of the saloon, Dr. Pepper in hand, my composition came together, and I finally had my moment. District Six died more than 15 years ago. It sits at the top of the southern ridge in Seneca, its Nebraska sky blue north wall peeling paint, its doors ajar, its roof rotted and open to the sky in many places. 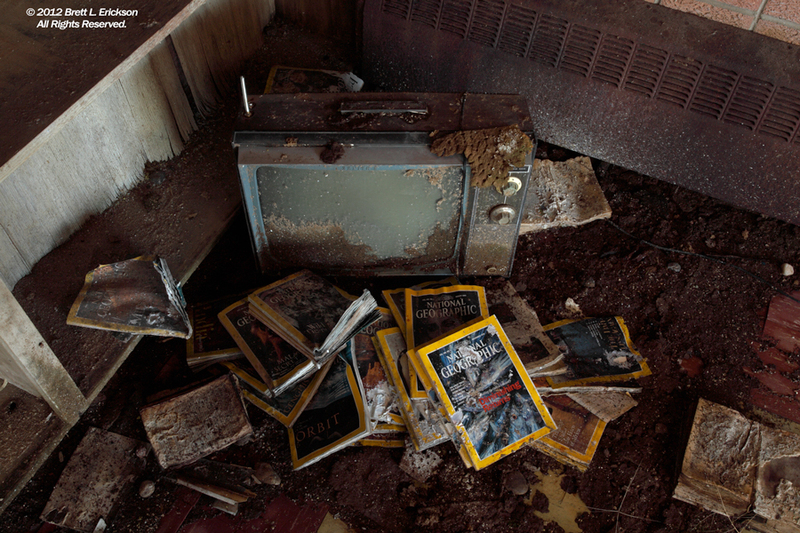 At the corner of the cafeteria one afternoon, I found these National Geographic magazines and old television, the gold border of the magazines a stark contrast to the brown, sienna and green of decay that dominates the rest of the room. It is a stark reminder of the future of many small western Nebraska schools, as they face diminishing class sizes, reduced funding, and dying communities. Like countless other photographers, I have been influenced by Ansel Adams: his use of the full tonal range within an image, his use of depth, his creation of visual poetry. 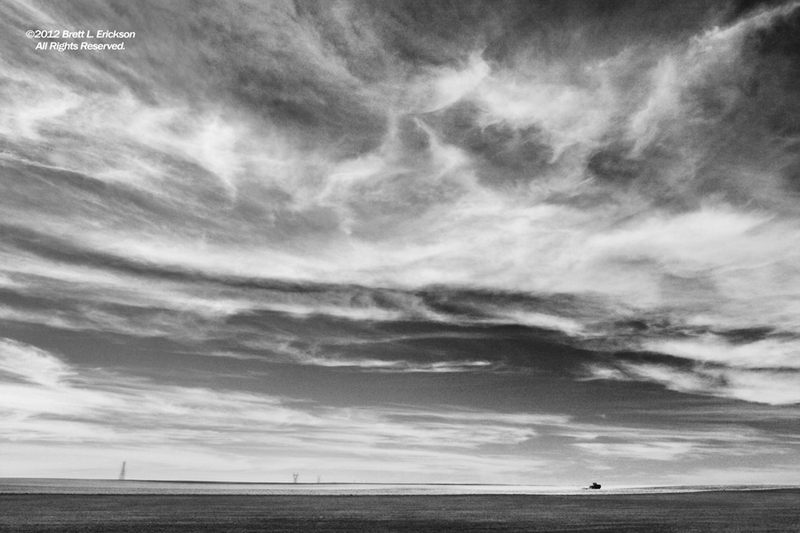 On my last trip to northwest Nebraska (what my friend Sam calls “The Lost Corner of Nebraska”), I made a number of images of which I’m quite proud, including a number of black and whites. Those photographs are tributes to Adams’ influence in my life. Friday, I posted a golden hour image of this same tree, from the same spot. I waited two hours for the brilliant blanket of evening stars, uncorrupted by any city lights (the nearest town, Crawford, is only 800 people, and it’s 12 miles; the next closest town of 7,000 is 45 miles to the east), to make the background for this image. 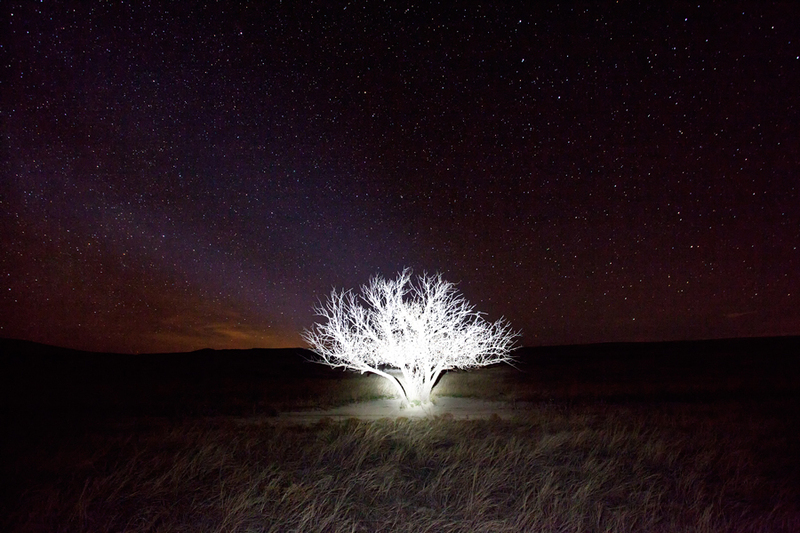 I illuminated the tree with an LED high-intensity spotlight, and after about 20 or 30 tries, produced this image. I nearly passed out when I found this tree yesterday. 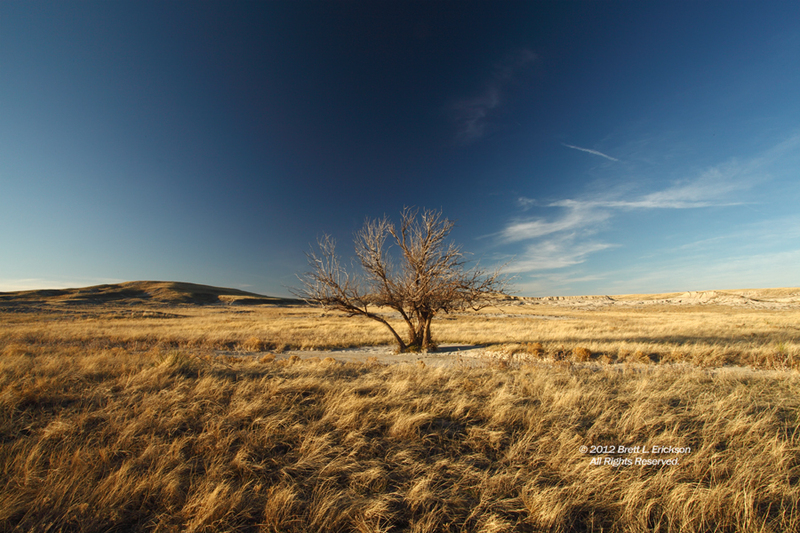 I have been searching for more than 15 years for a single tree in western Nebraska, on the right flat, grassy expanse, with the right clouds, at the right time of year, and I spent six hours with this one. I walked away with five usable images, one of which is this one. Shot yesterday (March 20); one of the keystone shots for my upcoming show, “PlainSky, Nebraskans.” Tractor in field, power towers, variegated clouds and emerging, dark green winter wheat all conspired to pull this one together. Dirty is worth it. A productive day for photos yesterday, although a late night fog interfered with some of the shots I needed. Off to the Ogalala National Grasslands today for more work.